MUARA, Brunei - Littoral combat ship USS Coronado (LCS 4) arrived in Brunei for a scheduled port visit Feb. 16. While in port Coronado will host multiple ship tours and present a static display of an MH-60S Seahawk helicopter and an MQ-8B Fire Scout unmanned helicopter. Sailors will also have the opportunity to participate in a sports day with members of the Royal Brunei Navy (RBN) and experience the culture and sites of Brunei while on liberty. Helicopter Sea Combat Squadron (HSC) 23 Det. 4 and 5 assigned to Coronado will be providing the static display as well as conducting an exchange of knowledge on jungle operations, search and rescue mission coordination and shipboard helicopter operations. Lt. Patrick Norwood, operations officer, Helicopter Sea Combat Squadron (HSC) 23 Det. 4, talked about the port visit and the unique opportunity it presents. 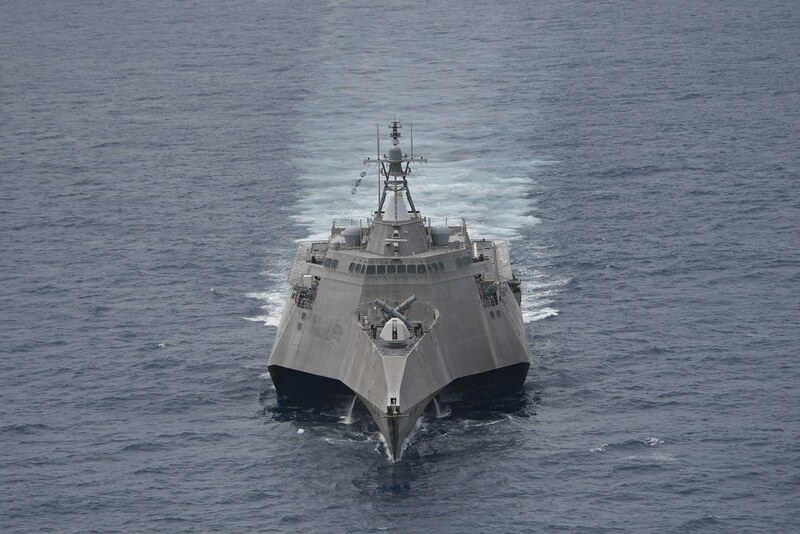 Currently on a rotational deployment, Coronado is a fast and agile warship tailor made to patrol the region’s littorals and work hull-to-hull with partner navies, providing 7th Fleet with the flexible capabilities it needs now and in the future.